Dipity do dah: ...and while a diligent student, she must work faster. ...and while a diligent student, she must work faster. That is what I would expect to hear if my crafting was reported a teacher. 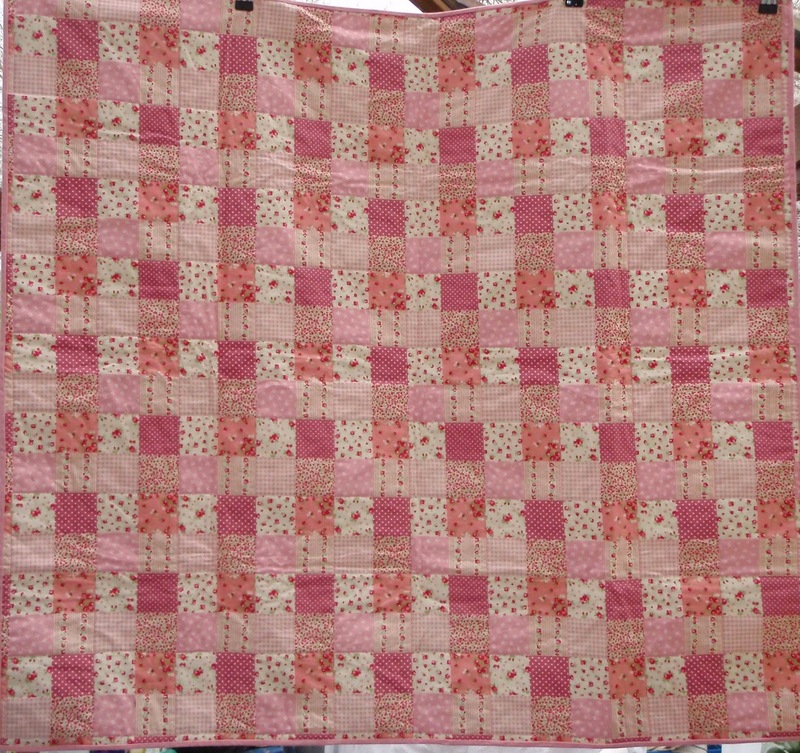 It's taken me 4 weeks to complete this "cheat" quilt. Why a cheat? 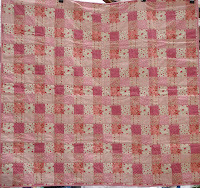 The fabric is printed with the patchwork and so it's just quilting not piecing. Anyway, on a whim I decided to make this for my neighbours now 1 month old first baby. finishing up some projects i started and helping my Dad as he is not well at the moment. Just before i go, I just want to mention Pink Peguin who is having a giveaway for Japan and can also help you find people who are missing.